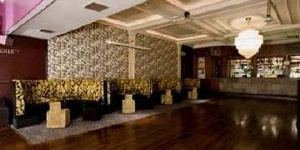 Sway is an impressive venue with a kitchen cafe, 5 bars and a club. However, Sway manages to feel friendly, stylish and intimate. Any time spent at Sway is a time to remember. With premium draught beers, a delicious cafe menu and a great range of cocktails and wines, Sway creates a stylish atmosphere. Two private rooms are also available for private parties or events. Set between the city and the west end we are perfectly placed to accommodate your after work drinks, big night out or corporate events.